The Toyota Corporation is more than an automobile manufacturer that makes reliable vehicles. They also take steps to help build a better world one community at a time. They believe that everyone should contribute to help make the world a better place and they strive to do their part. Toyota is well known for taking steps to reduce the environmental impact their manufacturing plants have on the planet. They have received several awards for their contributions such as using recyclable products to help eliminate waste, reducing the amount of energy used and conserving water. They also manufacture some of the most fuel-efficient vehicles and popular hybrids available today. While these are some amazing accomplishments, Toyota continues to look for ways to make a difference, which is why they’re taking steps to help communities. People all over the globe know how Toyota has influenced the automobile industry with their reliable and affordable vehicles. However, not everyone knows that this corporation does so much more. They constantly look for ways to help improve communities, which is why they’re working together with other corporations in various projects to accomplish that goal. 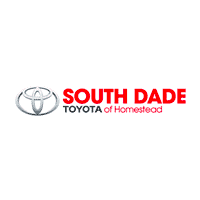 Scholarships and Awards– Toyota provides scholarships and awards to support higher education. They have gifted millions to support programs designed to improve education through the teaching of technology, mathematics, science and engineering. Ha:mo or Harmonious Mobility Network– This is an urban transport support system designed to combine public and private transportation to create a comfortable way to travel, while reducing CO-2 emissions. Low-Carbon Verification Project Smart Melit– The goal of this project is to create alternative energy sources that will help reduce the carbon footprint electrical companies leave behind. They plan to do this by balancing the demand for electricity with the supply available. Of course, these are just a few of the ways that the Toyota Corporation helps communities. Another very important way that Toyota is making a difference is with partner robots. Toyota has been working with various partners over the last several years to create partner robots designed to enhance the lives of people all over the world. Their goal is to create robots that can help assist humans in various ways and in different fields. For example, some of these robots may perform household duties while others may assist those in the healthcare industry. You can read more about how this project is going in an article posted on 3BL Media. It talks about how Toyota is lending rehabilitation partner robots to various hospitals located all across Japan. These robots are designed especially to assist in the rehabilitation of patients having problems walking or maintaining their balance due to some type of injury or illness. Toyota is so much more than just an automobile manufacturer. They help communities all over the globe through their various projects designed to make the world a better place and they’re making a difference!